The Corinth s. r. o. (ltd) Company specializes in developing interactive educational applications with a touch user interface. Its aim is to allow pupils/students to gain knowledge about various aspects of life in a playful, interactive way. In 2013, the company team was looking for a university partner with whom it could work on the development of the visual content for the Corinth Classroom Application aimed at human tissue structures. Technology Transfer Office of MU arranged a meeting of the company management with the representatives of the Department of Biology at the Faculty of Education of MU. Both sides agreed that cooperation would be mutually beneficial and soon started working together. The cooperation was financially covered by an innovation voucher obtained in May 2013 from the South Moravian Innovation Centre. The scientists were to provide the Corinth programmers with electron microscope images of tissues. The company's marketing manager Ing. Jiří Homola appreciates the work of the researchers: "The Collaboration with MU is priceless. We appreciate the technology this top university has to offer – e.g. an electron microscope we can use to take pictures of human body's internal structures – and the helpful attitude of the Department of Biology at the Faculty of Education. As a company which focuses on development of educational aids, we need high-quality educational materials. By involving the MU experts, we can acquire expertly described, accurate and original pictures of the human body. Our company, on the other hand, guarantees a functional and high-quality application of the data so that students are literally immersed in the pictures and motivated to learn." The resulting products are human body-related educational materials for the Corinth Classroom educational platform. They have a form of visual applications for touch-controlled devices such as smartphones and tablets but also for PCs. Both students and teachers can run them basically on any device, interactively and in 3D. However, the role of the MU scientists in the project was much more extensive. "The department supplied us with microscopic images, scientific articles and their own research data. We consulted these materials and their didactic value with each other which made the process of developing the applications faster. For Corinth, the project has been very beneficial. I would also like to point out the professional work of Dr. Martina Jančová and the good-will of doc. Zdeňka Lososová," concludes Jaromír Homola. 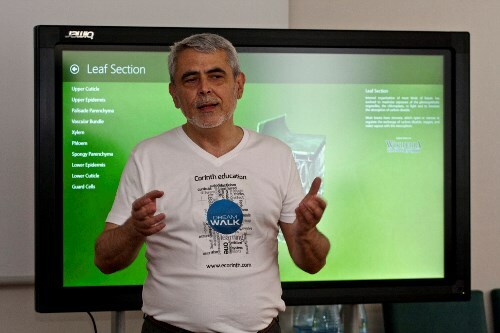 For a long time now the Corinth Company have been one of the most noticeable Czech start-ups in Silicon Valley; the Corinth Micro educational applications made it one of the Microsoft’s most respected global partners in the area of education. The company won the Best Business Project of the Year 2012 award for its Dreamwalk visual platform/environment; it presented its outputs i.a. 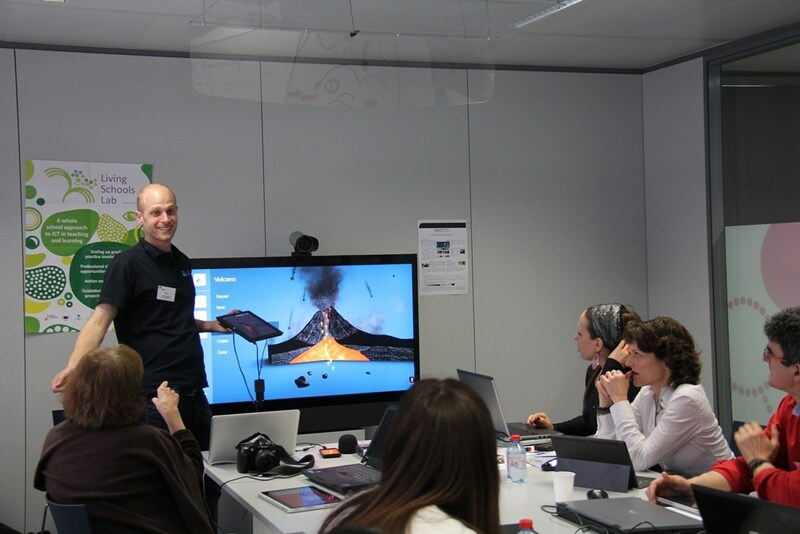 at the Microsoft in Education Global Forum in Barcelona or at the iTEC Workshop in Brussels.